1. 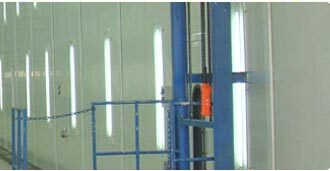 Automotive Solutions We, Automotive Solutions, are one of the leading manufacturers, suppliers and applicators of paint and non-paint products for automotive and industrial applications. 2. Automotive Solutions - Profile -We- Automotive Solutions are a premier organization offering complete solutions for the requirement of Automotive & Industrial Segement. We offervarious types of paints and allied products as well as we provide technical assistance for the same. Our product range includes: Products for Epoxy Flooring, PTFE-Car Exterior Paint Coating, Spray Booth Filter, Masking Papers, Chemical Produts, Job work on turnkey basis etc. These products are in compliance with international quality standards laid down for automotive solutions.The company was established as a proprietorship firm in the year 2003. 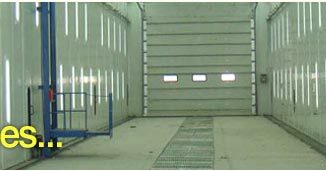 With ashort period of time, we have excelled in the field of epoxy floor and PTFE coating. This is viable with consistent growth in yearly turnover. The company has a turnover of INR 75 lakhs and we are aiming to achieve turnover of 100 lakhs within next one years. This unparalleled success can be attributed to our capabilities for providing quality products and prompt services to our clients.